Posted 24th January 2017 & filed under Blog, Intergenerational Justice. 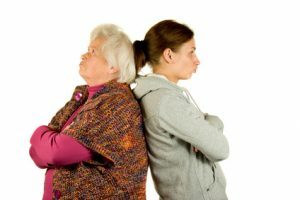 New data on household incomes from the Office for National Statistics (ONS) reveal a fascinating pattern about the relationship between intergenerational (age-based) and intragenerational (class-based) forms of inequality. They show that overall income inequality is falling, and has now actually reached a 10-year low, but that the gap between different age-groups continues to look wider than ever. The political events of 2016 gave a lot of attention to the issue of inequality, as the fact that supporters of both Brexit in the UK and Donald Trump in the US were disproportionately likely to come from the poorer section of British and American society meant that many commentators interpreted support for these movements as a protest against seemingly widening disparities between the haves and have-nots. When analysing the causes of Brexit, commentators in the UK often took it as a given that the UK is becoming a more unequal society, but is it really? The answer depends very much on how you measure inequality. If you look only at wealth – assets people own, such as property and investments – then the UK remains a strikingly unequal country, in which the wealthiest 1% are believed to own around 20% of household wealth, the top 10% own virtually half, and the wealth of the bottom 20% is negligible. However, the ONS data on household incomes – how much people receive in salaries, pensions and benefits each year – make the situation look much more equal. Median household income in the UK now stands at £26,300, and, importantly, the gap between the richest and the poorest households has been narrowing. Original income (before cash benefits and direct taxes) for the richest fifth of households was around 12 times higher than for the poorest fifth (£85,000 and £7,000 per year respectively) while disposable income (after cash benefits and direct taxes) for the richest fifth was 5 times higher than for the poorest fifth (£62,400 and £12,500 per year respectively). Obviously, this suggests that the redistributive welfare state does a relatively effective job at making peoples’ incomes more equal. What makes this data really interesting is what happens when you concentrate on their intergenerational angle. The ONS draws a distinction in the data between the incomes of retired and non-retired households. When you look at the data in this way, it becomes clear that the gap between the generations has been widening, even while the gap between all households overall has narrowed: the median income for retired households rose by 3.1% between 2014/15 and 2015/16, while the median income for non-retired households showed almost no change. The long-term cause of this divergence is that the incomes of retired households were protected during the Great Recession and afterwards by government policies, most notably the state pension “triple lock”, while the real incomes of working households declined and have yet to recover their former level. Additionally, the retirement of the earliest post-World War Two birth cohort has gradually created new pensioner households who had access to generous defined benefit pension schemes, raising the average wealth of this group further still. Compared with 2007/08, the incomes of working households are still 1.2% lower now than they were then, whereas those of retired households are 13% higher. The gap between the haves and have-nots may be declining overall in modern Britain, but some age cohorts are clearly more equal than others.